I am looking for a 130-year old Anglican church that I had read about, built during the British Raj for the British Raj. Seeing a gentleman step out of the bank across the street, I walk towards him. He seems like a resident. “Do you know of an old church around here?,” I ask. He ponders. Looks around. “Old church?” There is some deep digging into the recesses of his memories to try unearth the existence of such a historical structure in the area. Voila! He smiles and I find myself armed with a series of directions to the top of the hill, facing an old forgotten church celebrated by a handful of the city’s people. I am at the All Saints Church of Malabar Hills. 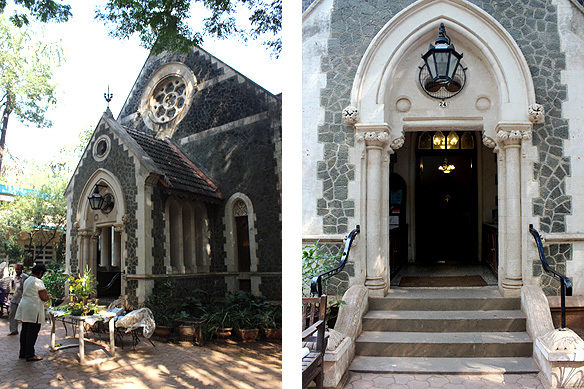 Unchanged for over a century and a quarter, the church is an offshoot of the St. Thomas Cathedral in South Bombay’s Fort district. 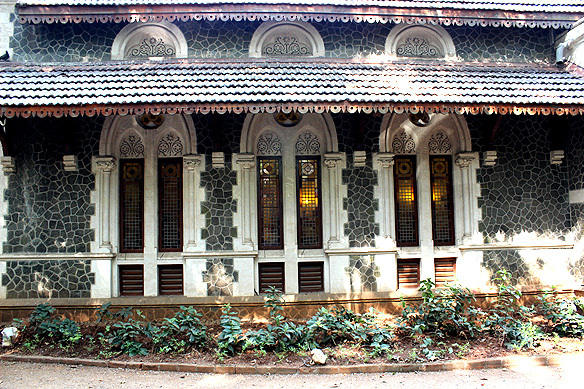 Back in 1882, Bombay’s governors used to live in Malabar Hills. The Cathedral, 8 miles away, was too far for daily worship leading to a petition for a chapel be constructed closer home to serve the spiritual needs of the members of the Church of England in the neighbourhood. 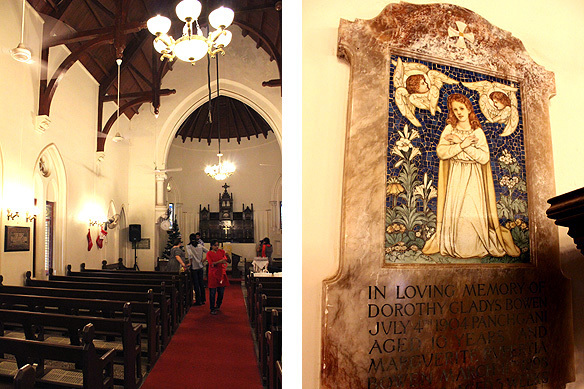 Built with Rupees 5,000 raised from government and private funds, the little church on Little Gibbs Road is steeped in Victorian English charm. Major Mant of the Royal Engineers designed the church; Lady Fergusson, wife of Sir James Fergusson, the Governor of Bombay laid the foundation stone. Till 1957, the church was attached to the cathedral, following which it received independent parish status. All Saints, serving a 100-odd parishioners today, is a Grade II listed building and received the Urban Heritage Award in 2001. As I walk in Christmas preparations are in full swing. Mistletoe and holly are being placed. Stars and baubles hung. An overweight white-haired terrier saunters past me and plonks himself in the aisle amidst the chatter and cheer of the Anglo-Indian and Indian parish members’ infectious community spirit. Christmas has come to All Saints, much like it has for the last century and more. Some things remain unchanged through time—thank god for that—albeit in forgotten pockets of space. 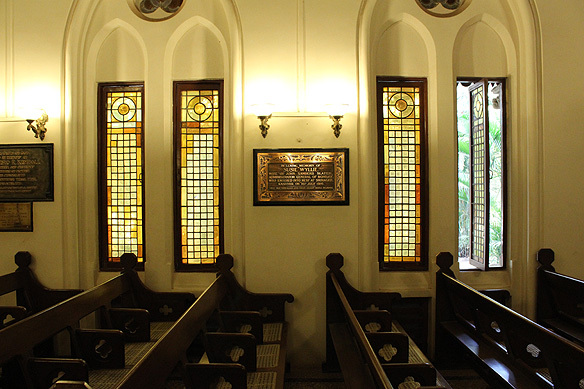 This entry was posted in Bombay aka Mumbai and tagged 19th century protestant church, All Saints Church, Anglican Church, British East India Company, British Protestant Christians, British Raj, Christmas, Governors of Bombay, Grade II listed building, Malabar Hills, Sir James Fergusson, South Bombay, St. Thomas Cathedral, Urban Heritage Award by Rama Arya. Bookmark the permalink. Missing the “Like” button below the posts!